Linda, I would respectfully disagree that Abe Kwok of The Republic is correct in asserting that the honus is on teachers to bring a citizens initiative for a dedicated tax to support public education. This gives our lawless Tea-Publican legislature a pass and does not hold them accountable for their reckless and irresponsible actions (The Republic always gives them a pass). 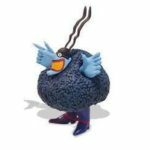 Hi AZ BlueMeanie. I don’t believe Abe asserted, nor did I, that the “onus is on the teachers to bring a citizens initiative.” I totally agree that the responsibility for fixing this mess lies with the Governor and lawmakers. But our ‘leaders” haven’t demonstrated any willingness to actually raise new revenue so I’m thinking we might have to help them do it. I know that you know, that I understand what the Arizona Constitution mandates with regard to funding for public education and the Legislature’s responsibility for that and other “ordinary expenses of the state.” The question is, does the Legislature know that? I suspect they do and are just ignoring it. So…what are the voters going to do about it? The funniest thing I ever saw was the Mexican Army on parade and the Arizona legislature in session. The Mexican Army is now great on parade. Borelli saying he uneasy micromanaging political subdivisions is hysterical. That is all the Legislature does. Micromanaging school districts in coding, healthcare, civics, flag waving, superintendent evaluations, cursive, recess, selling properties, and numerous others is all they do. Micromanaging cities and counties to solve the State’s budget problems, to solve very localized complaints about zoning, building codes, sales taxes, procurements, police services, election dates, plastic bags, even home occupations is all they do. One person in one city feels put upon, she runs to her legislator because she did not get what she wants from the City, thus all 92 cities have to kowtow to one local complaint, because it is now, of Statewide concern. You are full of it, Sonny. Right on Frances, right on!